From Caldwell to Montana: Documenting an Unusual Journey | Turul Bookbindery Inc.
Every so often we get a project that is just something out of the ordinary or unique. (As if working on a bible from the 1800s is normal, but I digress….). We recently were commissioned by a client to bind a commemorative book for a customer who’s 14 year old brother and 15 year old brother went to visit their grandmother. This sounds perfectly reasonable, so what’s the big deal? They went by bike! Still unimpressed? They lived in Caldwell and Grandma and Grandpa lived 2100 miles away in Montana . 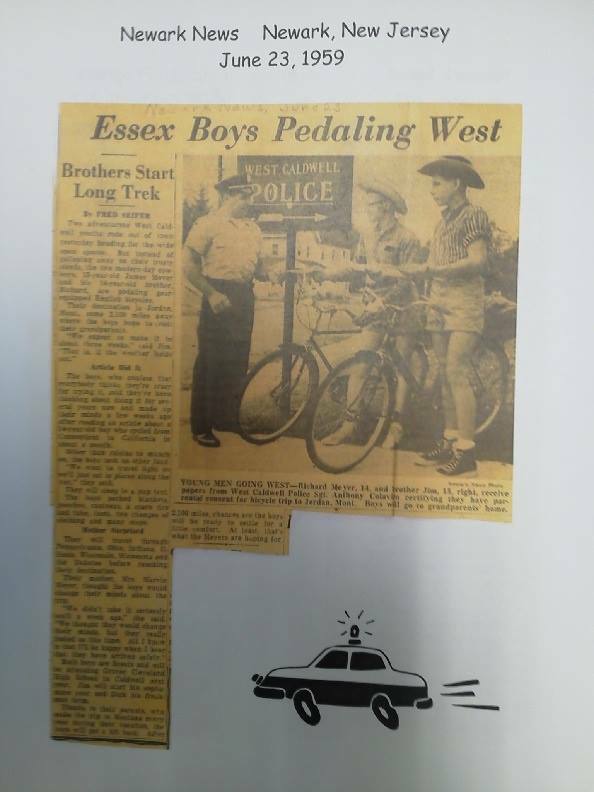 The book is filled with a permission slip from the local police chief vouching for the boys, it has letters from motel owners along the route saying how well behaved the boys were. It also has news stories of their trip as they were doing it. Amazingly it tool the boys only 24 days to make the trip and they packed only a pup tent and small supplies. The year was 1959 and what a different time it was!